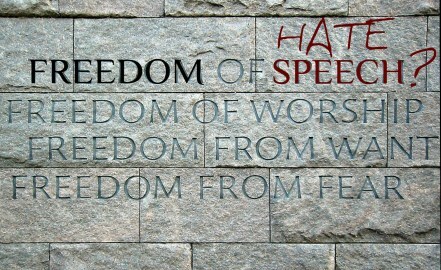 Among liberal democracies, the United States stands alone in its defense of hate speech as integral to upholding the First Amendment and ensuring a free society. Recent events in Charlottesville, Virginia—the site of a white nationalist rally that led to the death of one counter-protestor and injuries to many others—have reignited a debate on whether freedom of speech should be given such broad protections, or whether hate speech in particular must be regulated in order to ensure equality and protect human rights. The Roosevelt House Public Policy Institute at Hunter College will host a discussion that explores the contours of this debate, and offers insights from the perspective of international human rights law and the experience and approach of other countries that have similarly wrestled with legacies of xenophobia and racial injustice.